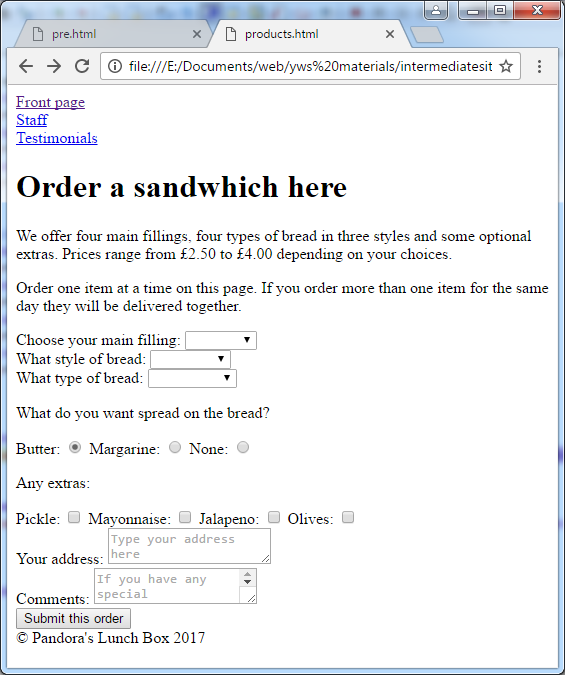 This is a page which allows the users to order sandwiches. So you need to display the food and have a form for ordering. The overall structure should be the same as the first page (links, heading and footer). Also check that your radio buttons only let you select one or the other and that all the other fields let you enter valid data which is all properly sent. Keep validating the HTML!